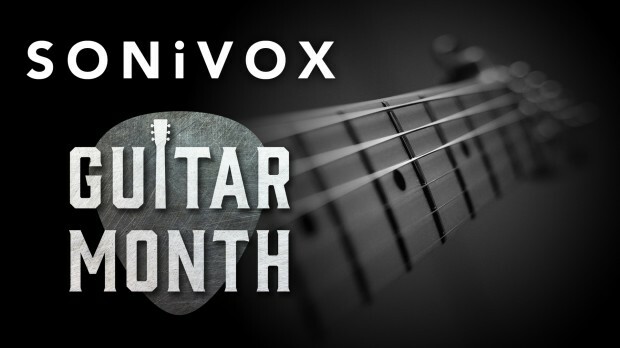 SONiVOX are now participating in our ‘Guitar Month’ at DontCrack. There are two guitar-focused producer packs and six great virtual instruments to choose from at a cost-saving 50% off! Guitar Producer mixes together no less than 6 strumming sample packs from amidst SONiVOX’s bulging catalogue, you’ll find sonic inspiration in the form of epic pop guitars, crisp clean acoustic chords, electrified solos, melodic patterns, smooth progressions and all the organic tones you need for your Pop, Hip-Hop, R&B, Rock and more! Pop Producer brings together 6 epic sample packs from amidst Prime Loops bulging catalogue, you’ll find sonic inspiration in the form of electrifying EDM, essential guitars, catchy rhythms, moving ballads and everything in between! Deep Frets – Acoustic Guitar, a beautifully rich, vibrant acoustic guitar collection that simply must be heard to be believed. Deep Frets is presented in powerful stereo/mono loop pairs spanning 10 rock-oriented themes. Through the combination of multiple pairs and themes, an almost infinite number of variations can be built. Deep Frets – Electric Guitar delivers over 130 indie-style electric guitar loops across 10 keys. With precision phrasing, solid motifs and a rich modern sound, Deep Frets – Electric Guitar will take a huge variety of compositions to a new level of excitement and inspiration. Steel Core is the hardest, biggest-sounding, most pulse-pounding Nu-Metal rock collection. Six months in the making, SteelCore delivers pure Electric and Acoustic rock power across seven individual styles. Deep-rooted Electric Bass is the foundation. Raw electric guitar provides the texture. Heavy acoustic drums tie it all together with the pulsing energy of a thunder-storm. Bright Electric Guitar captures a truly sweet guitar sound that is sure to liven up your tracks with authentic Strat tone. Classic Bass gives you a classic bass tone in two varieties- finger style (with nice, thick slaps on top) and picked, the better to cover all the musical bases. Taylor Acoustic Guitar is known for its pristine yet warm sound. SONiVOX sampled this one with the excellent Lawson Tube microphone and it sounds amazing. This entry was posted in DontCrack, Promotions and tagged Bright Electric Guitar, Classic Bass, Deep Frets - Acoustic Guitar, Deep Frets - Electric Guitar, Guitar Month, Guitar Producer, Pop Producer, SONiVOX, Steel Core, Taylor Acoustic Guitar. Bookmark the permalink.